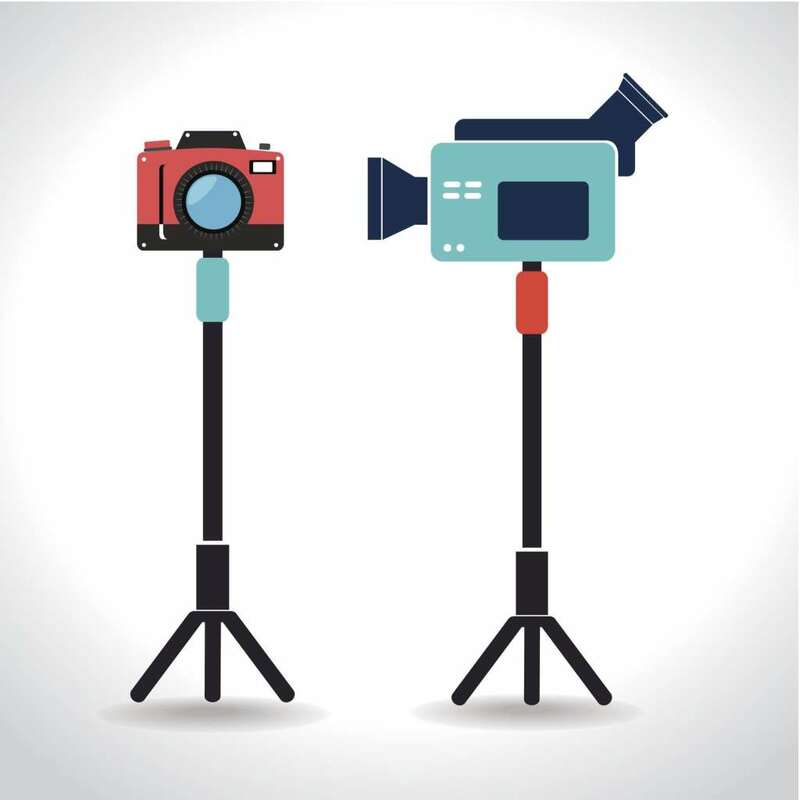 Video on your web page can come from a lot of different sources. One source that gives you complete control, though, is live IP camera streaming from your own IP cameras. 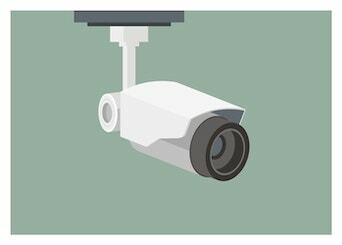 IP cameras have replaced the older closed-circuit type of video camera for most purposes. This is because of their versatility and ease of access. IP cameras allow streaming video from the camera to any device capable of Internet access. There are a few tricks for making use of IP cameras to stream live video on your own website. This blog will cover this topic in detail, giving advice on how to do your own live IP camera streaming. An IP camera is simply a video camera with an IP address. The camera’s IP (“Internet Protocol”) address functions just like the IP address of a laptop or desktop computer. That is, it allows the camera to be “found” over the Internet by any other device. The IP address is what allows an IP camera’s video stream to be downloaded by any authorized device with Internet access. 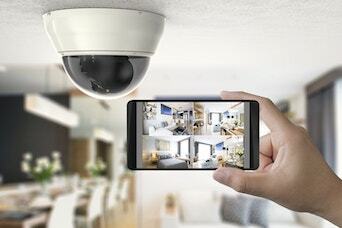 The biggest advantage of IP cameras is that they don’t have to be connected by cables to a display, processor, or controller. All that is required is either a WiFi or Ethernet internet connection. There are many advantages to this. IP cameras can be moved around anywhere in the network they’re a part of. They can re-positioned, either permanently or temporarily, to cover different areas. They’re also designed to function on a wireless network. Most networks today are wireless, so IP cameras are the preferred choice in most network applications. This makes the IP camera more flexible in terms of when, where, and how it can be installed and used. They are also vastly more convenient to mount and position as well. The latter might be your deciding factor in if an IP camera is right for you. When the cameras are used as part of a security system, it’s possible to check the images from a remote location. When used inside a building such as a sports stadium, a single engineer located in a control room can control all the cameras. They can do this from any device with Internet access, such as mobile devices like smartphones and tablets. Plus, with PTZ (Pan-Tilt-Zoom) IP Cameras, you can remotely reposition the camera and zoom in or out. IP cameras also can have high picture quality and can include their own internal memory storage. This makes them great for long running broadcasts. If you plan to stream 24/7 IP cameras can be the perfect solution. Today’s IP cameras also feature Power over Ethernet (PoE). This feature lets them draw electric power from the same wired network that controls them. Because of this these IP cameras don’t need a battery or other power supply. IP cameras can be a functional part of your streaming solutions for broadcasting a live video stream. Live IP camera streaming allows for maintenance broadcasting. IP cameras with streaming video are valuable for many applications. This is especially true for broadcasts that might be running 24/7, and embedded use. We’ve already shared a few of the uses for IP cameras above, but here is a bit more detail. Nature – IP cameras are an ideal solution for broadcasting out in the wild. Their small size and lack of multiple cables running make them ideal for wildlife streaming. Entertainment – A concert, theatrical performance, or any form of live entertainment that can benefit from the dynamic angles possible with IP cameras. Conferences – Virtual conferences can be arranged using IP cameras to connect those who can’t be physically on location. Streaming video makes the conference possible in real time. Education – IP cameras allow an instructor to connect with students over the Internet using streaming video. With flexible positioning, the camera can give an elevated view of the classroom or an event like a graduation. Development – Constructing a new monument? Improving existing infrastructure? IP cameras can be a great source to provide a constant feed into that development. This will allow interested parties to tune in at their convenience and see a live view of the progress. Let’s share the basic process of using an IP camera for live streaming. This is just an overview. For more details on each step, I recommend searching our blog archives and documentation. The first step is to setup your IP camera. Install it in the location you choose. Connect an Ethernet cable for power and internet, or connect to WiFi. The default protocol IP cameras, called Real Time Streaming Protocol (RTSP), is designed for network use. That is, it’s designed for streaming directly to a small number of end-use devices. RTSP is a good protocol for many purposes, but it doesn’t support embedding live streaming video in web pages. Instead, we need to send video in the HLS format. HLS is the modern standard for live streaming. Viewers can watch HLS streams on a smartphone, tablet, computer, smart TV, or almost any other modern device. This is done using an encoder. An encoder takes the images from the IP camera and transmits them in readable form to a video hosting service such as DaCast. Common software encoders such as Wirecast, vMix, and VidBlasterX run on a computer and support IP cameras. Furthermore, these applications also support live camera switching and many production functions. All of this fits with the way that IP cameras are normally used, which involves more than one camera capturing more than one point of view or more than one scene. With these encoders, you can switch back and forth between cameras and integrate all of them into a coherent video stream. Therefore, step 2 in this process is to install encoding software such as those mentioned above. Next, connect your IP camera to your encoder. This process will differ depending on the encoder and the camera you are using. In general, it will simply look like “adding a source” via your encoder. Then, you’ll need to enter the IP address and any login credentials required to access to the camera feed. That’s it! At this point, you’re basically ready for live IP camera streaming. All you need to do is “go live” using your encoder, and embed a live video player on the website of your choice. 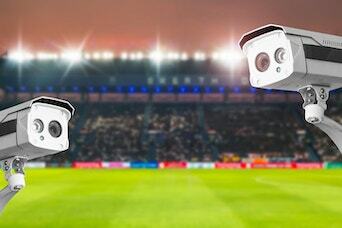 In this blog, we’ve aimed to explain what IP cameras are, why they are valuable, and how to use them for live streaming. IP Cameras are a great option for many different live streaming scenarios. Do you use IP cameras and have any extra tips or questions? Sound off in the comments to let your voice be heard. And join our LinkedIn group for regular tips on live streaming and exclusive offers. As always, thanks for reading and good luck with your broadcasts! Great information about IP camera! I liked your post about IP camera which is useful to all. Great work looking forward for more such work. Thanks so much @disqus_ejuC93g1BF:disqus if you are interested in a specific and useful content, just let us know and we will try to cover it as soon as possible. Have a lovely day. xSplit broadcast software has also worked well for me in certain applications – and is also a cheaper alternative to Wirecast. Great suggestion @jameswasem:disqus , we also recommend xSplit broadcast software. Thanks for sharing. Very useful posts. I really understand know. a lot of things about ip cameras. I want to set up a 4-camera system in a small acoustically sealed room that can be broadcast live over the Internet and switch between the cameras automatically. I have no idea what equipment I need to do this. I don’t need outdoor use or night vision or audio, but it does need to be HD quality and work well in low artificial light levels. Wi-Fi and extra cabling cannot penetrate the room, so I’ll probably need ethernet & PoE? Ideally a good depth of field from 3-15 feet would be useful. I currently use a single USB webcam into a netbook within the room but it doesn’t have the speed for good quality recordings or broadcasts and the autofocus is very hit and miss! Is it possible to have a small router in the room for the 4 cameras and then use a single ethernet cable out to another room where all the rest of the hardware and a faster computer is located? What is required, other than the cameras, in order to achieve this? It all needs to be kept within a budget of £350. Not sure there is anything to recommend at that budget level, with four cameras involved. What encoder are you using right now? Which USB are you using now? Are you using the Adobe Flash Media Encoder? What is your internet speed? I would have to look into it but I think you can use USB extensions in order to connect the webcam to the desktop. Will you be running anything else while running the Encoder? Streaming will take up resources, which is another reason why IP cameras are more efficient as well. Hard cabling is much better than WiFi for streaming, but there are newer more expensive devices that can handle WiFi. Still hard wired is more direct from point A to point B. There are proper ways to put the cable along the baseboard also. All a router does is route IP addresses from the router to another device, so yes it will work with IP cameras. The cameras alone will cost you more than your budget if you want HD and low light capabilities. I hope you found solutions to what you want to do or at least are able to have a higher budget. Good luck Lynn. with a PoE switch. I’ve been trying out the ManyCam software, which does similar stuff to wirecast but is a lot cheaper. These cameras put out H.264 which ManyCam can stream to any online video service such as YouTube. Do I still need an encoder? You may need to use Flash Media Live Encoder (free software) to take the ManyCam feed and push it to the DaCast servers. OK, I’ll check those out. Thanks for your help. IP cameras that usually broadcast RTSP can be published to site pages (RTMP/HLS) using a Wowza relay server and a script/player like http://www.videowhisper.com/?p=PHP-IP-Camera-Stream . Why cant we have free encoder which supports IP cameras with multiple camera feature? I know people have attempted to do this with OBS through plugins. It’s a free encoder, as it’s open source, although does require some sophistication to use in respects to plugins. I have yet to hear of someone successfully using a plugin to stream IP Cameras over OBS, but see enough people talking about it where something might exist out there.